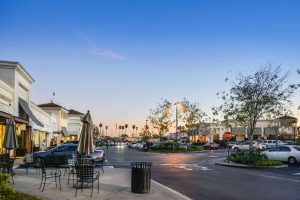 Shopping Center Asphalt Repairs by Asphalt Pavement Solutions, Inc. If you’re searching for a company that offers shopping center asphalt repairs in many areas of Pennsylvania and New Jersey, look no further than Asphalt Pavement Solutions, Inc.
At Asphalt Pavement Solutions, Inc., we believe that a shopping center parking lot that’s in excellent condition is simply good business. If your customers have a safe, clean place to park, they’ll likely look at your store as the better place to shop. After all, it’s no secret that any business makes their first impression long before a customer walks through its doors. The sun’s UV rays – Overtime, ultraviolet radiation impacts the flexibility and strength of the asphalt. UV exposure also causes it to become brittle, and you may even see small cracks. Freezing and thawing of water – If your asphalt has small cracks, water can penetrate it very easily. If water is in these cracks when it’s cold, it can freeze and cause the pavement to expand. Once it thaws, you’ll be left with even bigger, or more cracks. 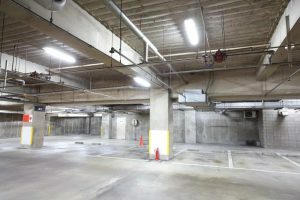 Lack of any preventative measures – Some people are under the impression that their asphalt parking lots will look great forever without any maintenance, but that’s simply not the case. If you want to prevent deterioration, you will need to schedule some maintenance services to aid in preventing major damage from occurring. Inevitably, having us make sure your parking lot is well-maintained will ensure its kept in good condition. While we certainly encourage you to get in touch with us for maintenance, there are things you can do throughout the year to make sure it always offers a perfect first impression. In fact, you should not only be inspecting your parking lot on a weekly basis, but a daily one! Need Repairs? Call us Right Away! Immediately after you notice any potholes or damaged areas in your parking lot, you should reach out for repair services immediately. If you choose to ignore or put off repairs later, these problems can lead to even bigger issues that could mean costly repairs. Asphalt Pavement Solutions, Inc. offers asphalt crack repair services, asphalt sealcoating, and an asphalt rejuvenator. More information about these services, as well as the products we use, can be found on our website. To learn more about how we can keep your shopping center’s parking lot pristine, or the other commercial parking lot repair services we offer, please also browse our site. To speak with us regarding your project in Bucks County, Montgomery County, Burlington County, Camden County, Mercer County, Monmouth County, or any other area throughout Pennsylvania and New Jersey, please give us a call at your earliest convenience.